MZ Wallace is excited to collaborate with SoulCycle on a limited edition version of their iconic Metro Tote and popular Metro Belt Bag. Both exclusive styles embody everyday luxury, combining MZ Wallace’s distinctive design elements with a fresh spin on SoulCycle’s signature color palette of yellow and grey. The partnership targets loyal customers from the intersection of both brands: those that lead active lifestyles and appreciate product with a purpose. 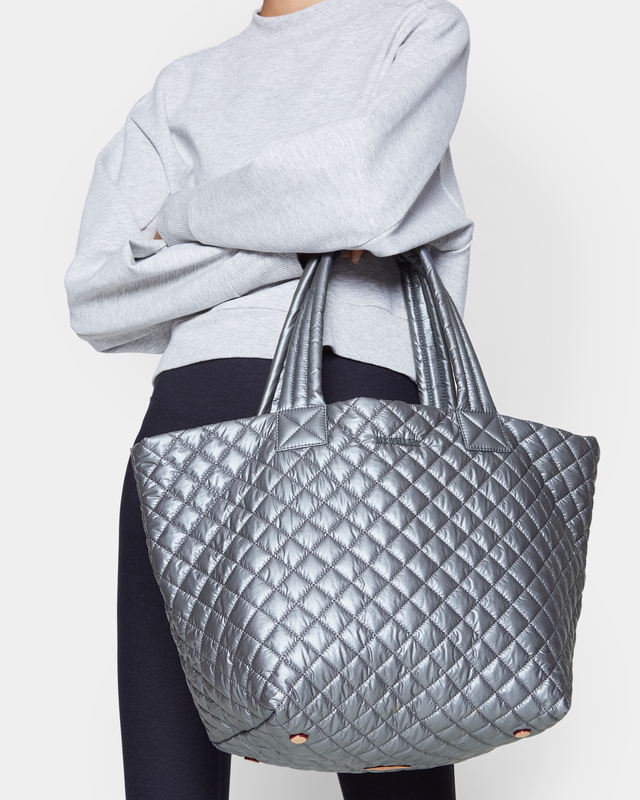 The SoulCycle x Mz Wallace Metro Tote features a detachable pouch that's custom-sized to hold cycling shoes, so you can go straight from the studio to the office, or anywhere else your day takes you.